The NEON M53 is engineered with an advanced AVAGO A3050 gaming sensor that provides stunning precision and support for different levels of DPI. Experience the difference in speed and accuracy with its surprisingly swift feedback. Dazzles with various pre-programmed modes which utilize the wide-range glamorous LED backlight effects: Pulse, Rainbow, Breathing, and Cycle, are just a few to mention. 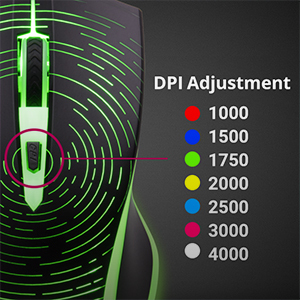 With 7 customized DPI levels from 1000 to 4000, gamers can enjoy convenient on-the-fly adjustment for the best gaming experience. 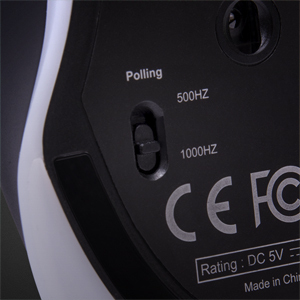 Optimize accuracy and speed via the dedicated Polling Rate Switch to choose between 500 Hz and 1000 Hz. Specially designed with an ergonomic profile to fit ambidextrous hand grips.